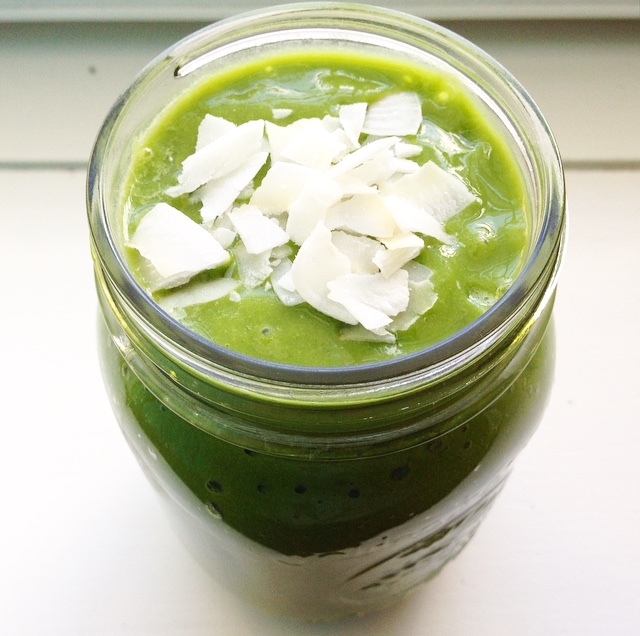 Blend, top with coconut flakes and enjoy! yumm sounds like a great combo!! !